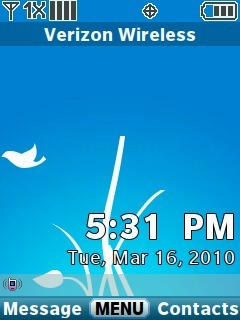 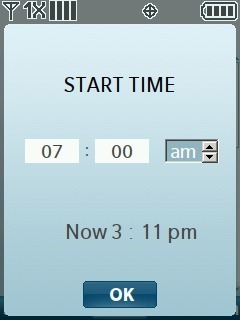 Add a Start Date and Time. 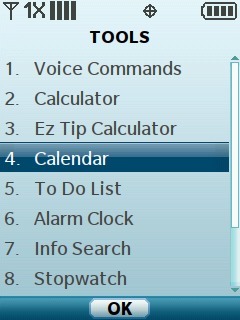 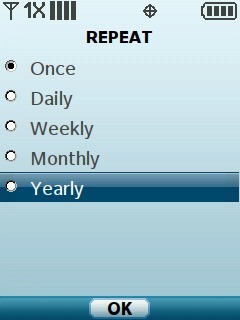 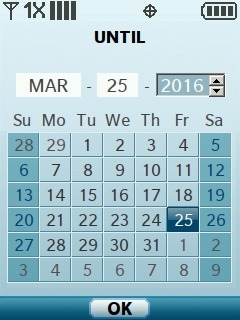 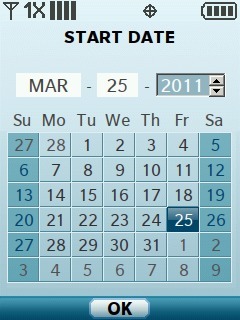 Select the Start Date field then press the left soft key to choose Set. 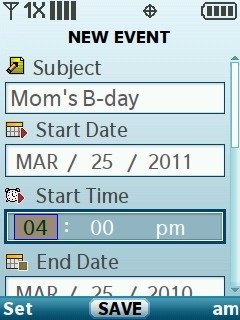 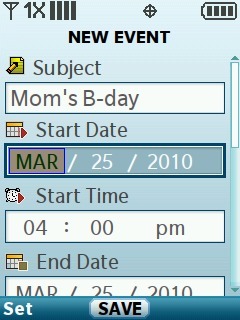 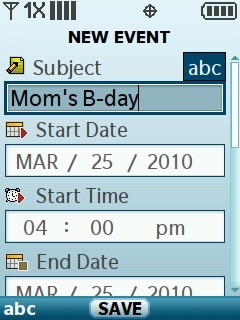 Enter the date of the event then press OK. 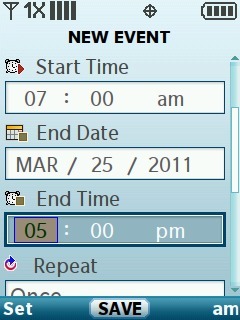 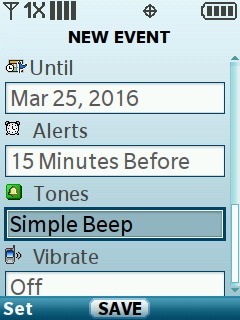 Enter the start time of the event then press OK.
Add an End Date and Time. 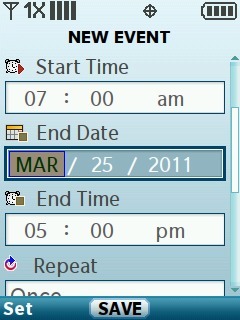 Select the End Date field then press the left soft key to choose Set. 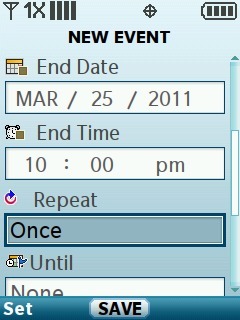 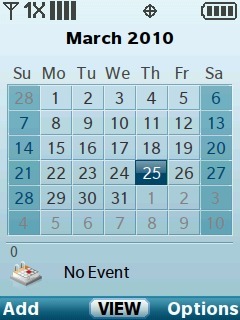 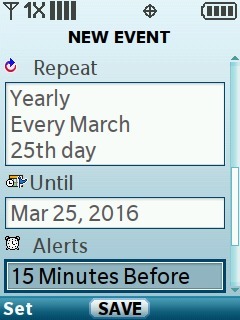 Enter the date the event is going to end then press OK. 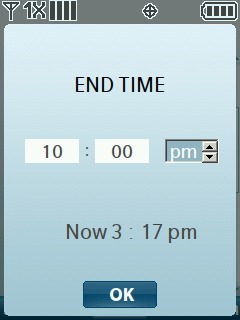 Enter the end time of the event then press OK. 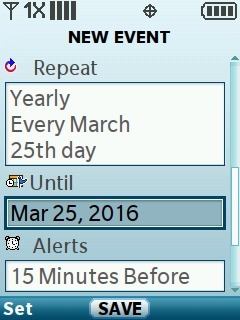 Select how often the event happens then press OK. 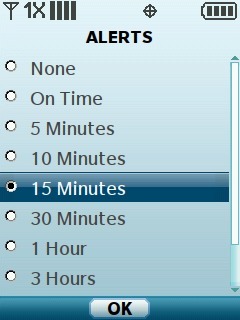 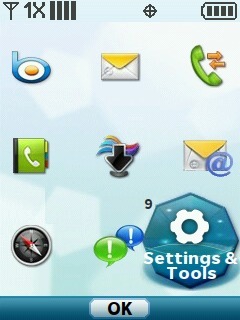 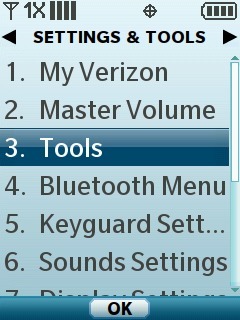 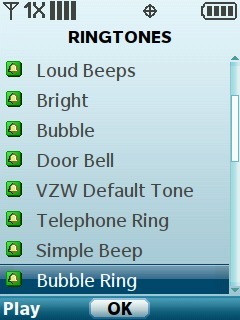 Select the Alert field then press the left soft key to choose Set. 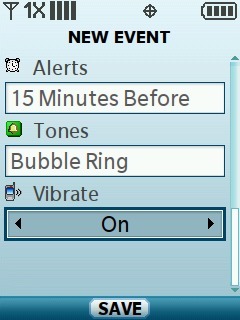 Select the Vibrate field then press the right side of the 5-way navigation pad to choose On / Off.